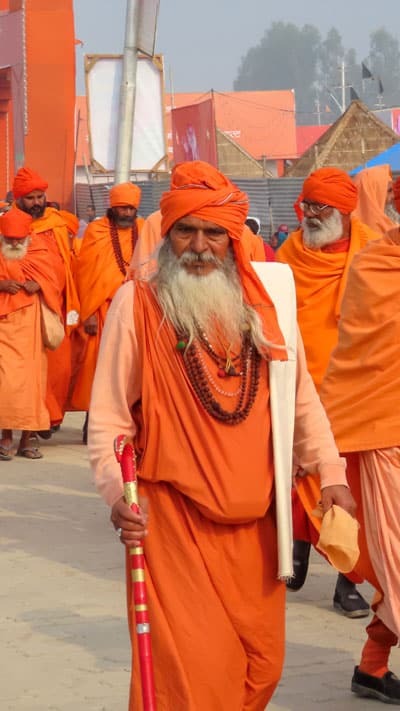 I’ve just returned from what is estimated to have been the largest human gathering on earth, The Kumbh Mela in Prayagraj. I mean, how insane is that! Estimates put the number around the 45-million people mark for the days I attended, and my mind is blown. We walked about 20-kilometres around the festival and only saw a slight slither of it. Before setting off to such a mammoth event I had some reservations, and one of them was about my camera equipment. I usually shoot with a Canon EOS 5D which is not only expensive, but also very bulky and with that many people around, and with such a personal, focused event, I was worried a large DSLR wouldn’t always be ideal. However, Canon UK reached out and gifted me their new travel-focused camera, the Canon PowerShot SX740 HS. All of the images in this blog post, and the video clips were taken on this new camera, and you can find a brief review of the Canon PowerShot SX740 HS at the end of the post. 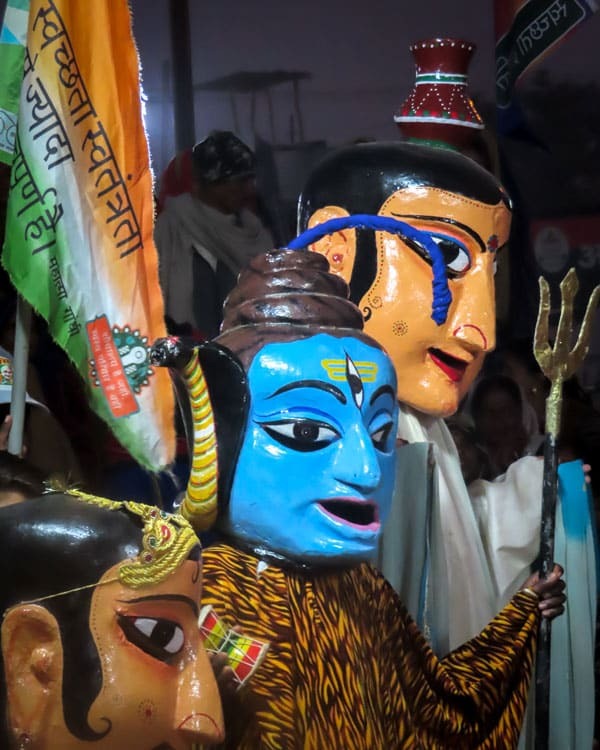 But for now, let me tell you twenty facts about this incredible festival, The Prayagraj Kumbh Mela. 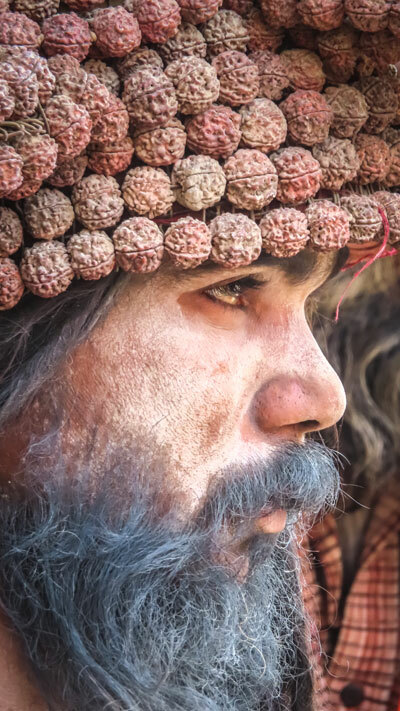 The numbers for the Kumbh Mela are staggering, across the 49 days the event takes places in Prayagraj more than 100-million people will attend, with over 40 million on the most auspicious days alone! 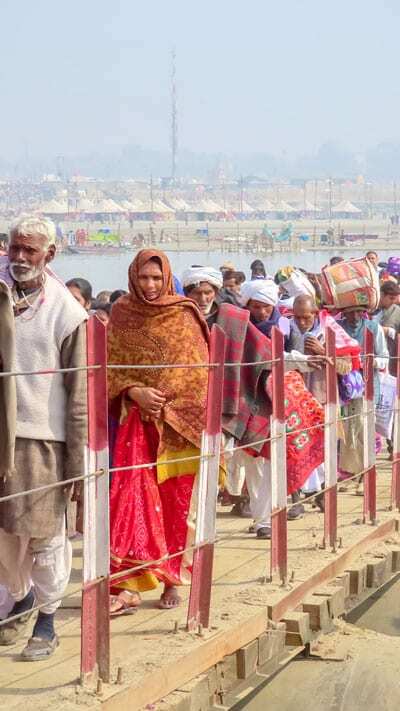 The 2019 Prayagraj Kumbh Mela runs between January 15 to March 4, bringing the total days of the festival to 49. Some pilgrims and holy leaders will stay for the whole event, while others will visit on certain days. 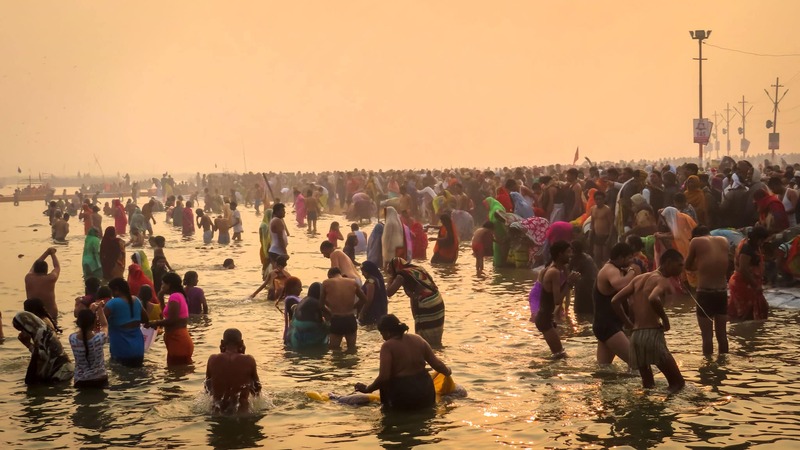 Given the sheer numbers involved in the Kumbh Mela, pre-planning is key to a visit. With roads and bridges closed on certain days and times, to be sure to attend the procession and key events you must plan your stay in advance to minute detail. 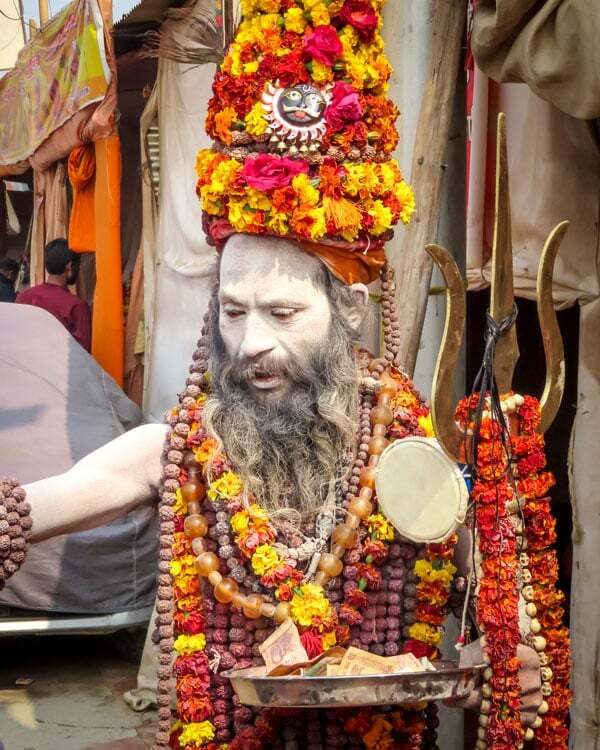 The Kumbh Mela happens every six years, while the full Kumbh occurs every 12 years. Every three years a kind of Kumbh will take place, while the Mahakumbh takes place every 144 years. 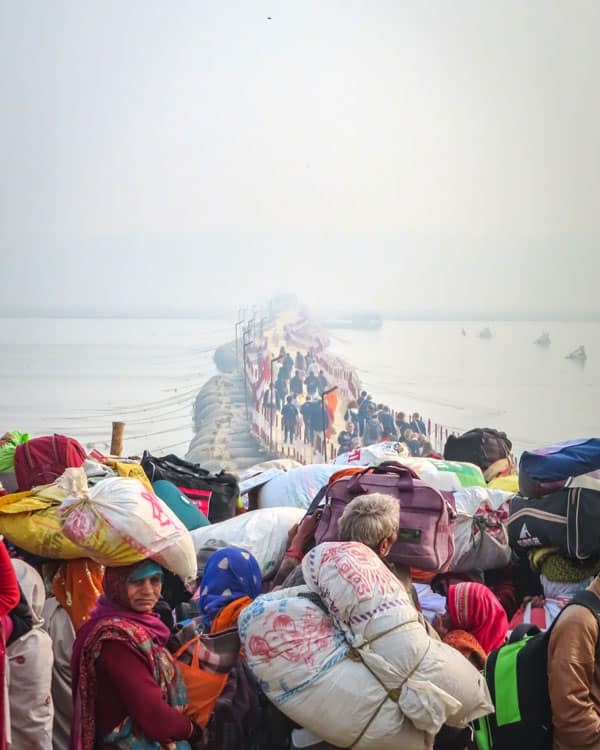 The Kumbh Mela is actually the half event, but the crowds to the 2019 half the last full Kumbh. I’ve previously visited Haridwar which is one of the Kumb locations. 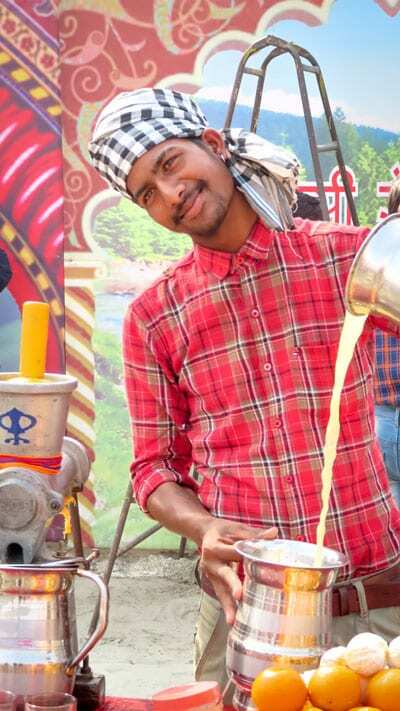 Alongside Haridwar and Prayagraj in Uttar Pradesh, Kumbhs also take place in Ujjain and Nashik. The Prayagraj Kumb is the oldest and thus most special of them all. 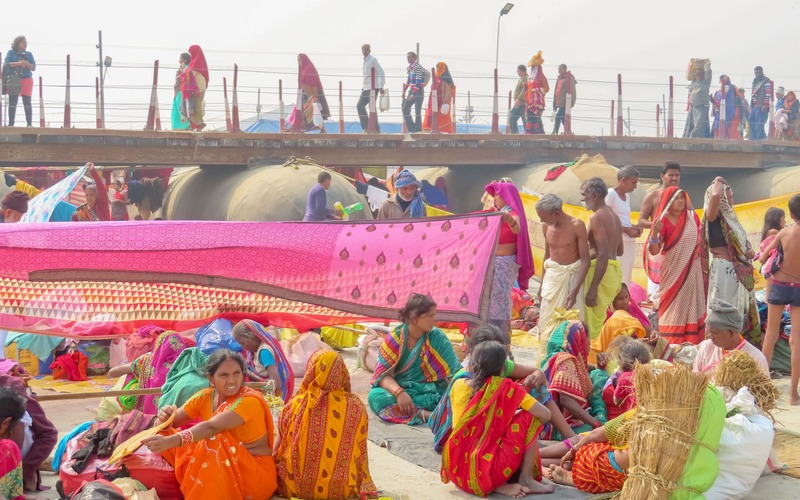 Given the sheer volume of people attending, the municipality of Prayagraj whose population is usually under 2million, tent cities are erected everywhere. From luxury tent cities for tourists or those who bring their own tent, everywhere you look you’ll see temporary accommodation. Surprisingly WiFi is available throughout all the tent grounds! 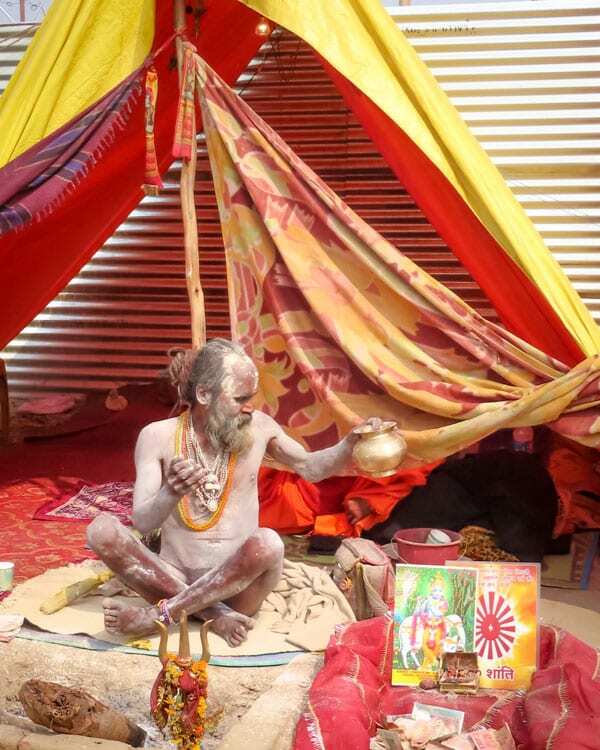 Sadhus are one of the holiest persons in Hinduism, and for many, a chance to meet and be blessed by a Sadhu is a special moment at the Kumbh Mela. 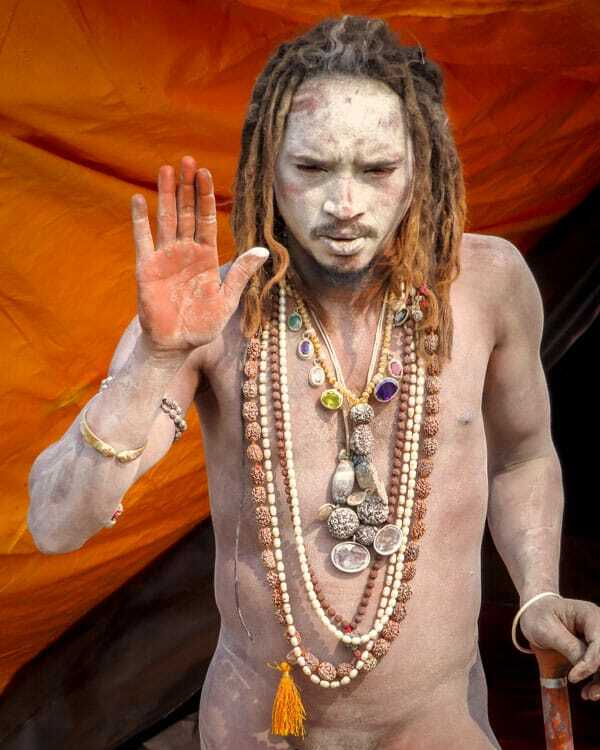 Naga Sadhus are the most auspicious of the Sadhus, and one of the key events is the procession on the most important bathing day let by the Sadhus before dawn. 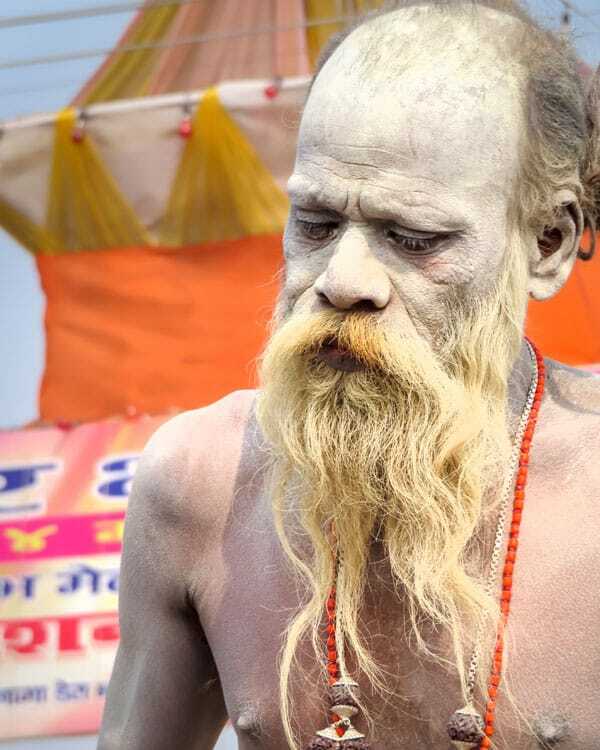 Sadhus have given up all their earthly possessions, including clothes, and thus are naked apart from their holy jewellery, accessories and their ash coating which gives the white skin appearance. 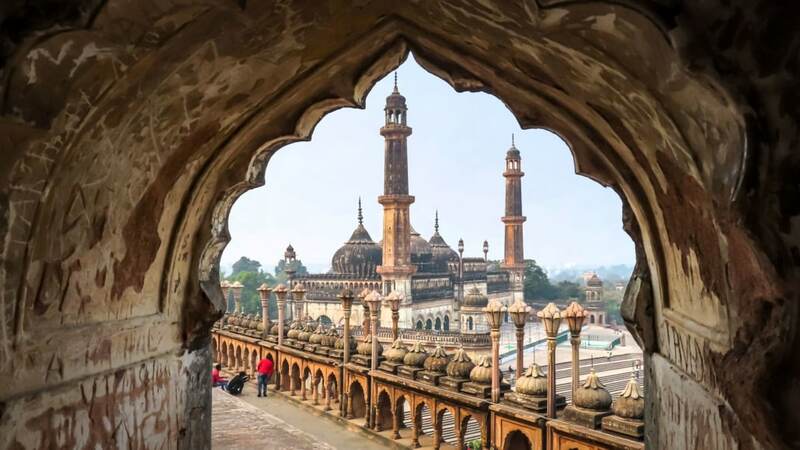 If you haven’t heard of Prayagraj before, it may be because until later 2018 the city was known as Allahabad. The name was changed, and the first part means offering, a much more apt title for one of India’s most holy cities. 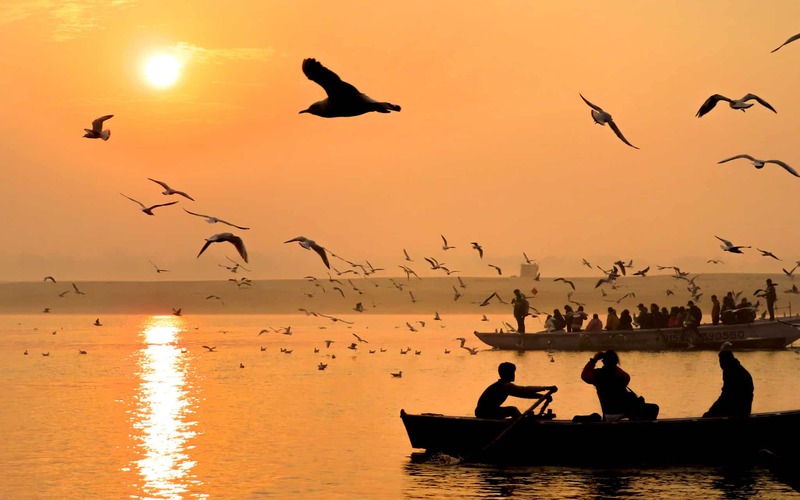 The Prayagraj Kumbh Mela is the oldest of the four Kumb sites, and it dates back over 2000 years. A Chinese traveller made the first written details of the festival. 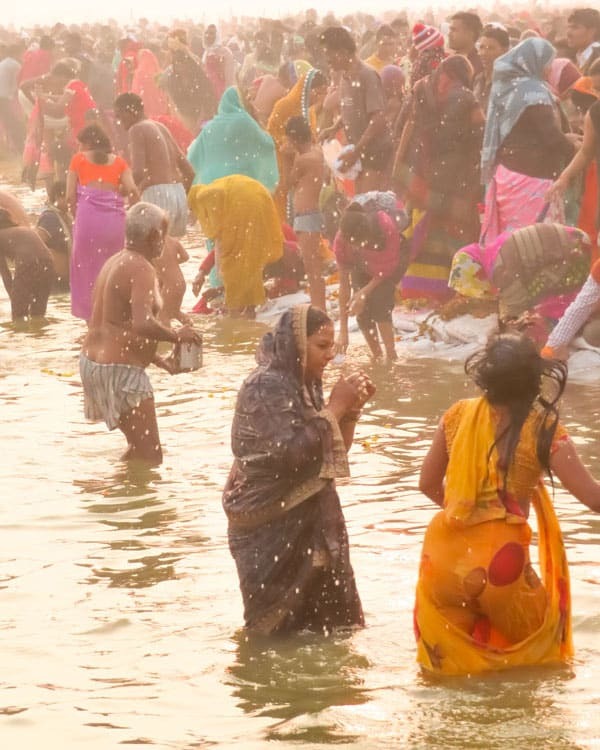 The dates and timings of the Kumbh are no random pickings and are calculated based on the locations and combinations of the Moon, Sun and Jupiters zodiac positions, and these also define the critical bathing dates. 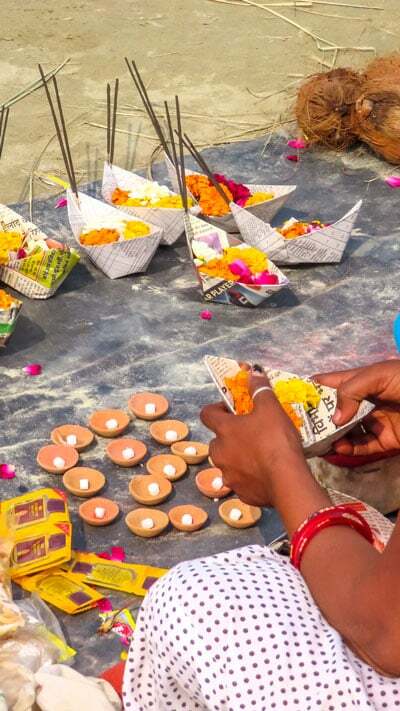 The holy water of the Ganges is believed to wash away all your sins and leave you eternally blessed, which is why so many people bathe on important dates. The water and bathing will take you on the path of salvation, and many people will take bottles of the holy water home with them. 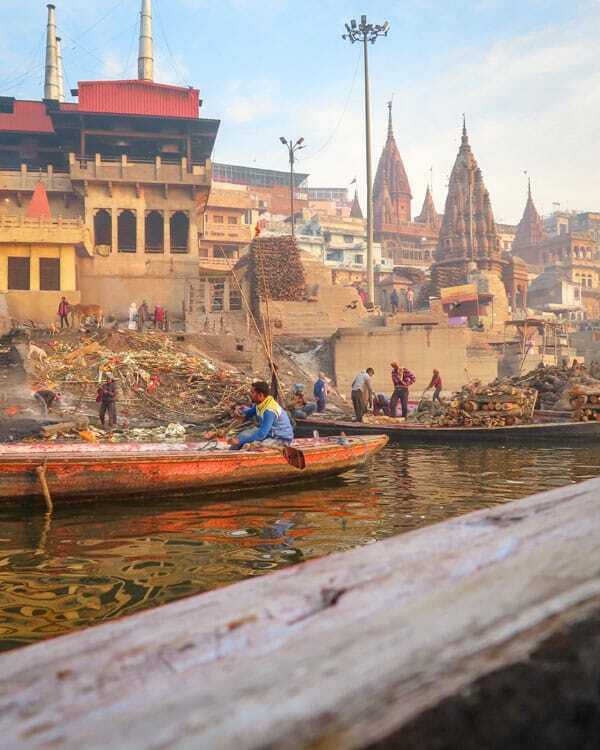 As the meeting point of three rivers, known as the Triveni Sangam. The Ganges and the Yamuna meet here, as you’ll see on the map, which a mythical third river called the Saraswati complete the trio. Where the two river meets, you can see the two colours of the water bodies collide. Alongside the pilgrims who visit alone, there are land allocations given to many different religious and cultural groups and organisations to accommodate their guests. It’s believed at this Kumbh that was more than 6000. To host a celebration of this size, considerable investment is needed. At over £300 million to run the 49-day programme, it’s an incredible amount of money for one cultural and spiritual event. Bringing your own supplies is essential for many of the pilgrims, especially those who have taken long journeys to attend. You will see at the festival though free food, or heavily subsidised food, being handed out to holy persons such as the Sadhus and pilgrims. 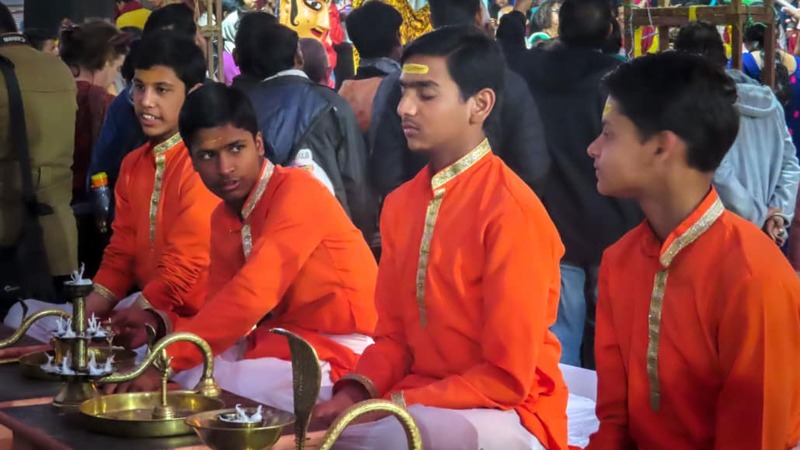 Amusement parks, book exhibitions, yoga programmes and laser shows are just some of the other attractions running alongside the more spiritual and holy events and activities. Such is the importance of the event, on the UNESCO list of ‘Cultural heritage of humanity,’ you will find the Kumbh Mela listed. 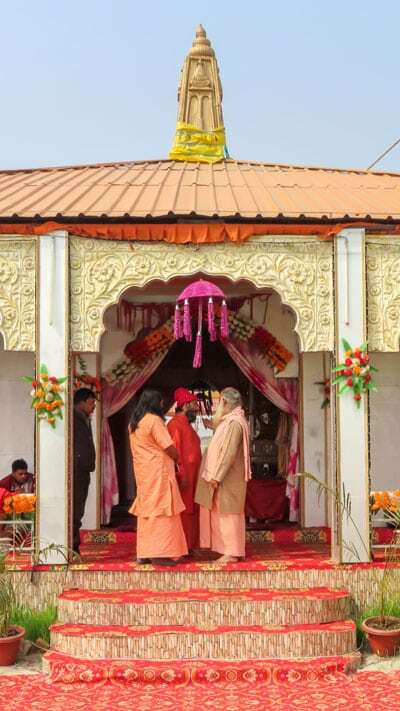 To remove the need for open defecation, and to keep the Kumbh site clean, more than 120,000 toilets and a detailed hygiene and sanitation plane was laid out at the 2019 Prayagraj Kumbh Mela. For visitors, pilgrims and tourists, the safety and security of controlling such a vast event are paramount. A control city is set up with an eye on the whole city, and the Mela area so minor incidents can quickly be processed thanks to the security feeds going to the control centre. Police, water police, fire service, ambulances and medical professionals are always on site, and over 20,000 temporary jobs are created in the sectors of cleaning, trash sorting and processing, safety and security. 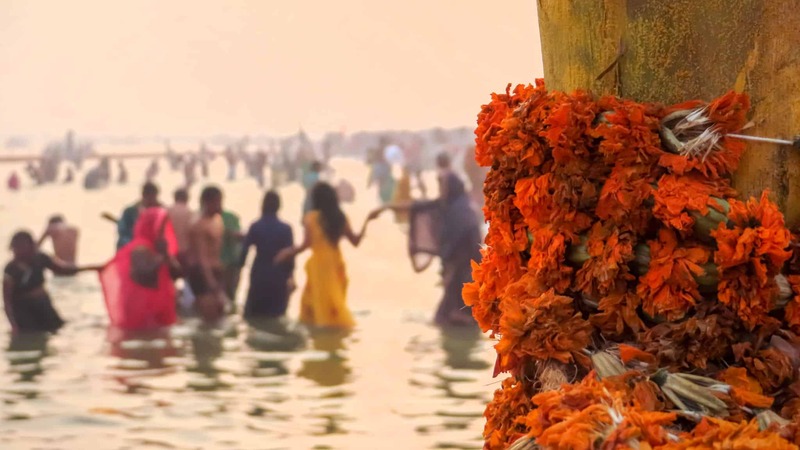 The Uttar Pradesh government are chasing three Guinness world records with the 2019 Kumbh Mela thanks to the extensive improvements and infrastructure they have set up to manage the event. 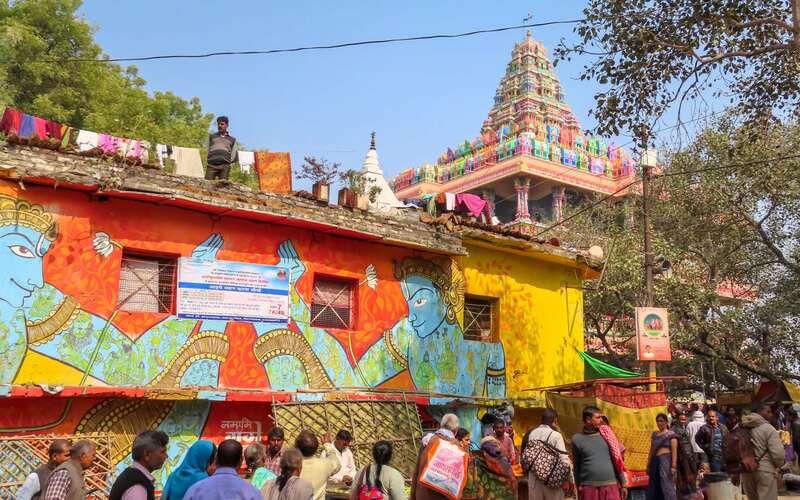 The three records focus on transport, sanitation and new street art and city painting that took place in the lead up to, and during, the event. Overall I was super impressed with the Canon PowerShot SX740 HS, and I’m sure you can see from the photos it did me well at such a mammoth event. The videos were edited together in Final Cut Pro and photos processed in Adobe Lightroom. One of the handiest things with having this camera was it fits in my pocket, which meant not having to carry a bulky DSLR around the whole festival. Having 4K and excellent image quality is essential for me when doing travel shoots, so knowing that was in my pocket and out of view was great from both a security and ease point of view. The incredible 40x optical zoom was ideal for boat rides and huge crowds, and the image quality was high in the right lighting when zooming in. The camera has a built-in stabilisation system, meaning my images were sharp and in-focus. To give you an idea of how insane the zoom is, the two photos below are taken from the same boat. In the bottom middle of the first photo, if you squint, you’ll see a man sitting down. That’s the same man in the second photo on the right; the zoom is that good. The camera offers full manual control as well as auto settings for different kinds of shoots: sport, portraits, food and video. It doesn’t photograph in RAW though, so all images are processed as JPG, and I found the colour quality fantastic, I didn’t even have to edit the colours in video post-production. Another handy bonus is the flip-up screen, ideal for to camera filming and of course, the millions of selfies I took at the festival! The 4K and time-lapse features allowed me to capture lots of memories, and in fact, I ended up filming 90% of my videos at the festival on the PowerShot only really using my DSLR when it was dark as the PowerShot didn’t capture night time video as well, which is expected given the price point. The camera offers 4K at 30 FPS and FHD at 50 FPS, which I then turned into slow motion in editing. Overall a very welcome addition to my gear bag and I’ll certainly be using it for my upcoming travels alongside my EOS 5D. If you are looking for a compact travel camera and don’t want the bulk or price of a DSLR, I’d say this is one of the ‘best point and shoot’ cameras I’ve ever tried out. See and shop the Canon PowerShot SX740 HS on the Canon Website. Proudly produced in partnership with Canon UK, who I have been using to capture my images for over a decade. My trip to the Kumbh Mela was supported by Uttar Pradesh Tourism Board and Lonely Planet Magazine India as part of the Kumbh Travel Writers Conclave. All editorial opinions remain my own. Can i buy some photos on this article ? Sure. I’ve sent you an email now. 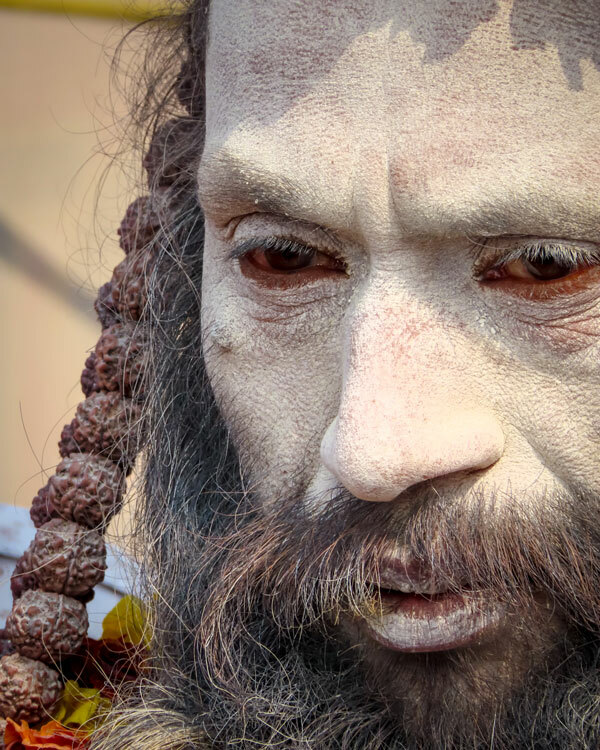 Great article for kumbh mela and photo is very beautiful, thanks for sharing interesting information and this is best blog . Dan: thank you for this post, it was inspiring and now I want to get to know more about the culture in India. Being quite far away from the country tho, I wish there are ways for me to connect people their regardless of the distance. I felt like this blog did exactly how I wanted, so thank you! I am also looking for other ways to connect, so if anyone has any idea would be great. Very good photos and information! I hope someday I can be there. Congratulations! Loved the Photos ! 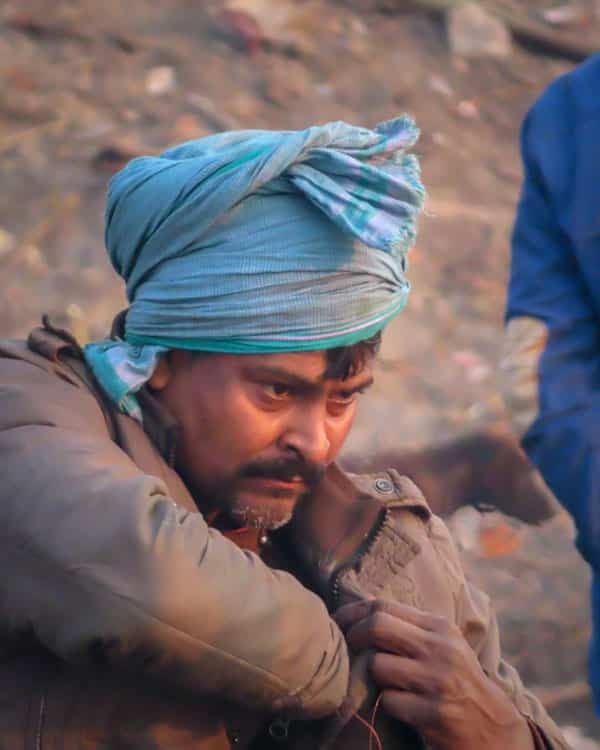 This Kumbh Mela (2019) is particularly called the “Ardh Kumbh” since it happens ever 6 years. These photos are incredible, Dan, just like all your work. But I really appreciate you laying out all of this information about how the Mela comes together. £300m is such a jarring figure—even as a South Asian I’d never thought about how much money must go into making our colorful festivals come alive. Thank you for this unique glance into India, looking forward to all your travels. Hi Dan, you clicked such an amazing pictures, i enjoyed your this blog too much. Got amazing info about this adorable Kumbh Mela. 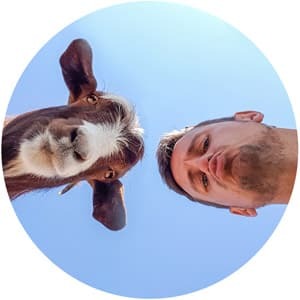 Thanks for sharing looking some another best blogs from you. Hey Dan, Thank you for exploring India and giving this beautiful info about Kumbh Mela. I love your photography, those pictures are really awesome. Keep up the good work and explore more places in india you definitely love it.